The same techniques were used to assemble all of these structures. 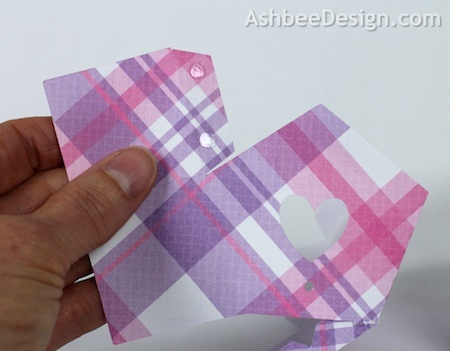 I have assembled one tutorial but you can follow these steps for any of the designs. 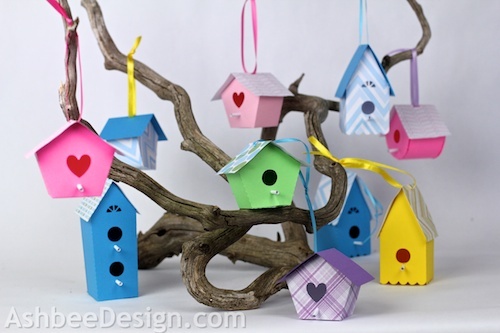 Display a birdhouse village hanging from a gnarled piece of driftwood. Or add stakes and put them in a container of wheat grass. 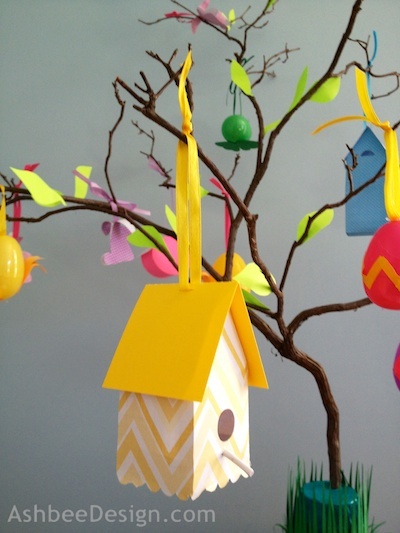 Double Decker Bird House here. Rounded Bottom Bird house here. 1. 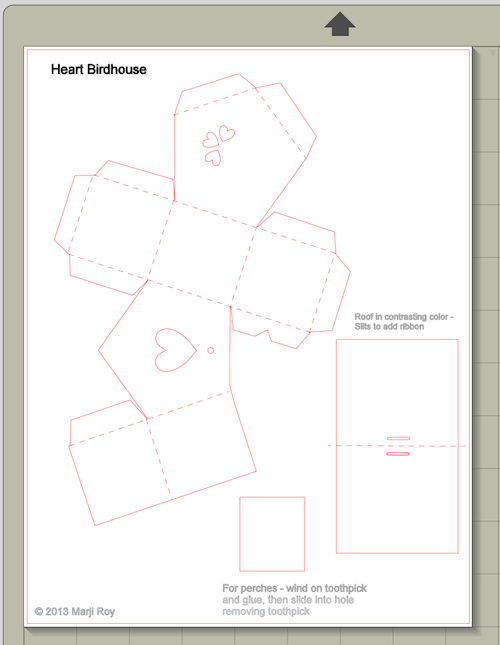 Download the cutting file for your Silhouette Cutting machine from the Silhouette Online Store at the links noted above. 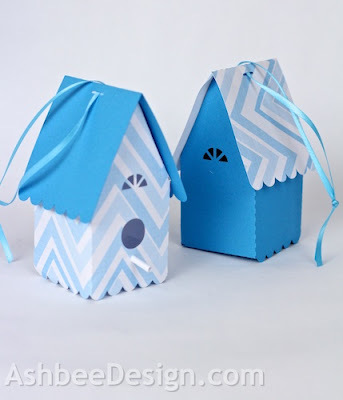 Each file contains the three parts for a specific birdhouse including the basic structure, a roof pattern and a perch pattern. 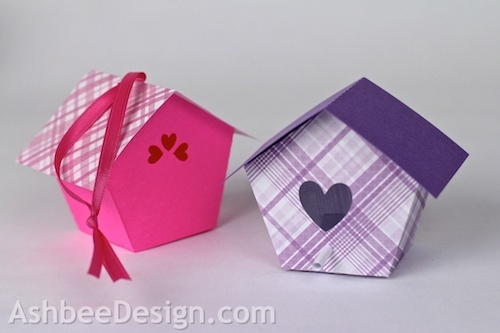 I like to cut the structure and the roof from contrasting papers. 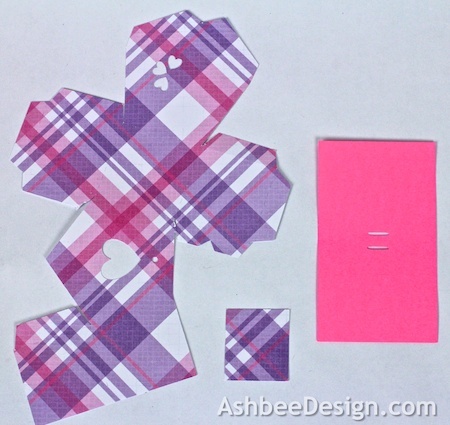 I have used combinations of prints and solids or all solids. The easiest thing to do is print the file twice, on two different papers and then mix and match the roof and structure. 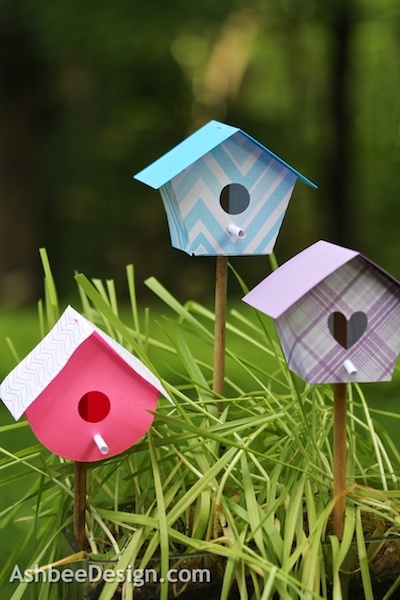 Here is a sample of the scallop edge birdhouse done that way. 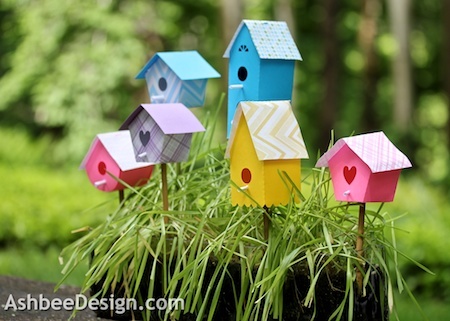 Before you cut, consider how you will display the birdhouses. 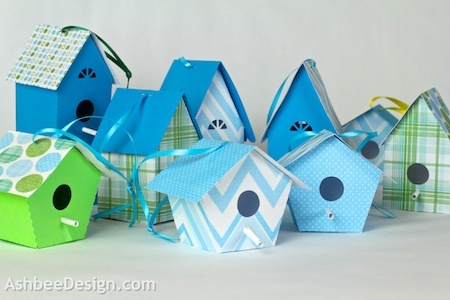 If they are going to hang, then you will want to insert a ribbon and the slots are located on the roof. If you are not going to hang them, then you may want to ungroup the file and remove the two roof slots. Here are all the parts for one birdhouse cut and ready for assembly. Note: Each cut file has dotted lines. These are fold lines. Fold along all fold lines. 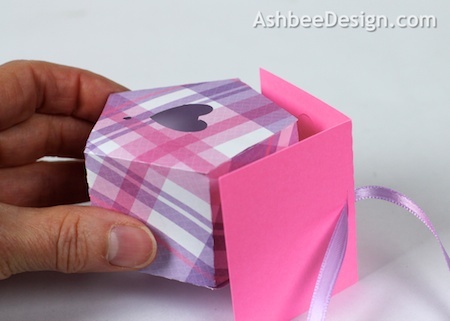 The folds all go in toward the inside of the birdhouse. 4. Glue tabs in place. 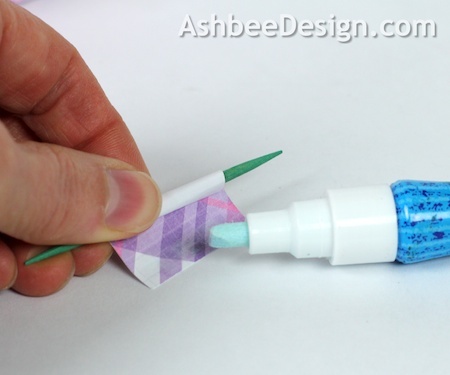 I like to use Glue Dots although other glue types are appropriate. I start by gluing the edges that attach to the birdhouse front in place. I do the back last. This is because you can reach the back more easily through the entry hole for pressing together. And pressed them in place carefully lining up edges and keeping things square. Once the front and roof are in place, apply glue dots to the remaining tabs for the back side. 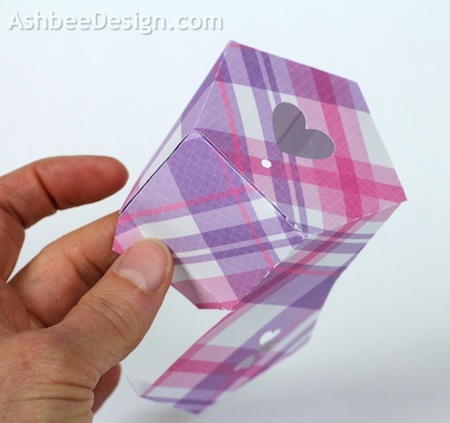 Carefully position the back and use a skinny tool inserted in the entry hole to press them into place. 5. Add the ribbon and attached the roof. 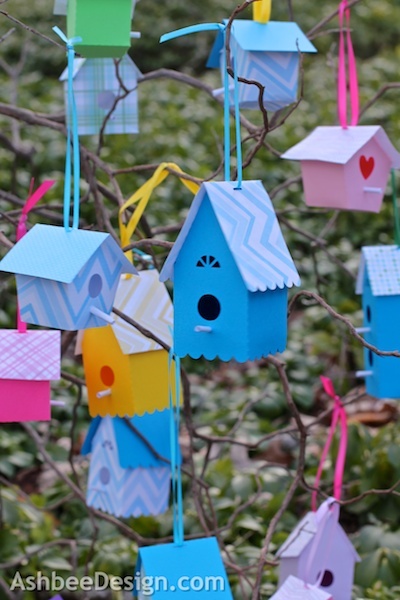 If your bird house is going to hang from a branch, now is the time to thread a ribbon in the slots on the roof. Then apply glue dots to the roof and carefully position it in place. It is designed to have an over-hang in both the front and back. 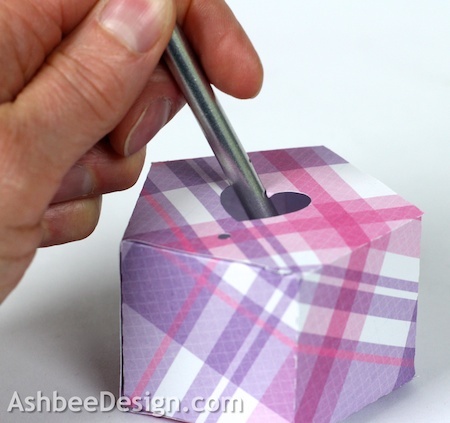 Insert the tooth pick with the perch into the hole beneath the entry. It will be tight and if you carefully twist the perch as you insert it, the hole will widen and you can slide it it place. 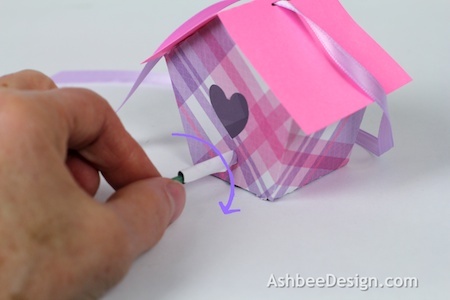 If you do this carefully, the hole will stay tight and the perch will be secure. Slowly, pull out the tooth pick, leaving the perch in place. 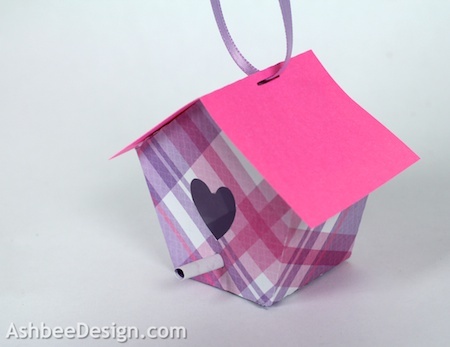 Nothing like a plaid birdhouse to brighten your home! And soon you'll have a neighborhood! I brought a bunch with me to visit my grandson. 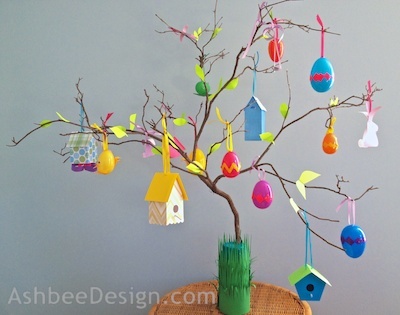 We used them on his Easter Egg tree! So cute, but how do you make them on a stick? Just cut an X in the base and pushed the dowel up through to the roof. It rests beautifully there. Is it also for the silhouette portrait? 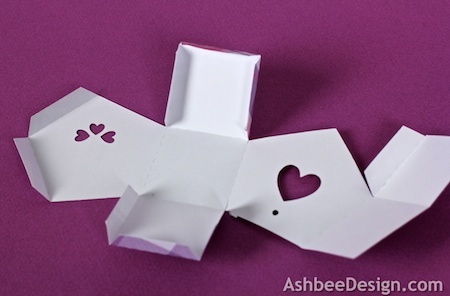 The Heart, Round bottomed and scalloped will all fit on the Portrait although you will need to rearrange the pieces. The Double decker is too large. I love your designs and have been fascinated by your husband's kinetic sculptures which I found whilst looking at some of your designs for the Silhouette Cameo. I purchased my Cameo in September and am really enjoying experimenting. I will leave the lower flap unglued but put on double sided tape so she can remove the cover strip and push it inside to glue it in place. Thanks for the design and the inspiration. 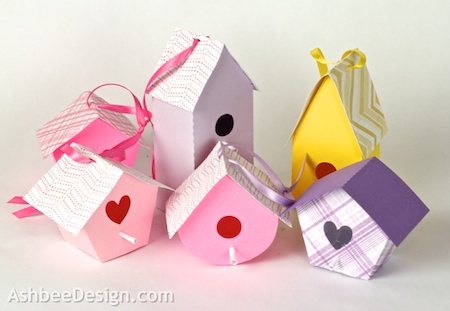 I am going to make some to decorate my studio - I will make some tiny birds to go with them. Send pictures for me to share! Have fun crafting.